Yearbook headlines are unique, which is a nice way of saying they’re tough to write. They have to strike a balance between substance and style in a way that’s both accessible and appropriate for high school students. And they usually need to do it in about five words or less. Accurately reflect the coverage on the accompanying page or spread. Be clearly understood by even the most distracted reader. Create enough interest that the reader wants to learn more. While it might sound like these three traits are the same, they’re significantly different. And they build off each other. A good yearbook headline needs to accurate before it can be clear and concise, and it needs to be clear and concise before it can be made interesting. The trick to a good yearbook headline, though, isn’t as much about talent and creativity as it is about practice and process. Which is where this post comes in. The types of headlines used in yearbooks today. The importance of choosing and sticking with a single headline style. The process for writing great yearbook headlines every time. So, go ahead: share this post with your staff. You’ll be cranking out engaging headlines faster than The Daily Prophet’s Rita Skeeter dishes gossip. 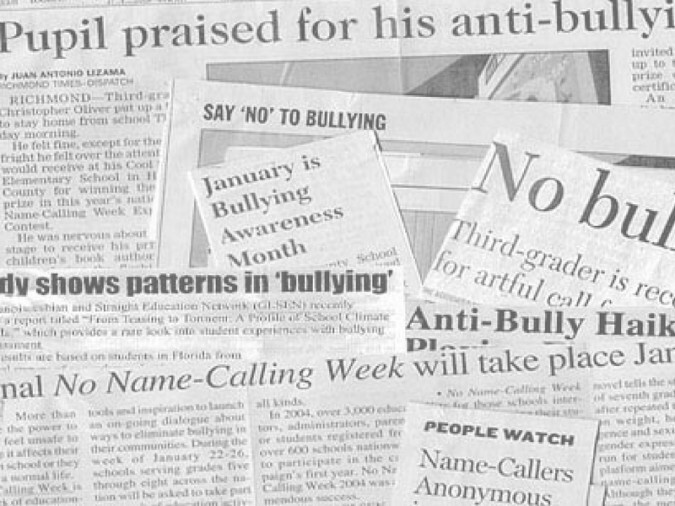 As trends go, most yearbooks employ a primary headline and a secondary headline. The reason? Well, we’d be lying if we said it’s easy to always achieve the goals of accuracy, clarity and interest in a two-to-five-word headline. Here, then, is the first hurdle you need to clear when it comes to yearbook headline styles: Go with the trend or play it straight? If you’re planning to tackle unique stories otherwise unknown to your community, go with the trend. It’s more in line with feature reporting. If your yearbook coverage plan is to simply recount what happened throughout the year, play it straight. Pardon the gruesome aspects here, but we think you’ll catch the drift. The first, of course, is rather … uhh … colorful. It creates visual (albeit not much of a pleasant one), attracts a great deal of attention, and leaves any reader with an ounce of curiosity wanting more. The second is a clear, concise summation of what happened. There’s nothing wrong with it, but it doesn’t do much in the way of drawing a reader further into the story. At least not in the way the first headline does. There is no right or wrong approach to which headline style you pick; it’s more a reflection of what you want your style to be. And, regardless, you’ll also need to address voice and tone, so that your book feels cohesive and familiar throughout. Literary Devices. Alliteration, hyperbole, juxtaposition, metaphors, similes… all of them can be used in short, evocative headlines. So, too, can rhyming allusion, homonyms, and rhyming schemes. These are, for the most part, the building blocks of great headlines. Puns. While puns might usually fall in the category above, we’re calling them out on their own. That’s because, while puns might elicit a great laugh, there’s also a far greater risk that they incite extreme physical pain. As long as they make sense and aren’t too tortured, feel free to lean on them in your headlines. Get your reader’s attention, make them chuckle (or groan), but make sure your message still comes across clearly. Pop culture. Remember that tabloid analogy we made earlier? It’s back. If you choose to evoke pop culture throughout your yearbook, you must pick things that people will remember. Paint an accurate picture of the year in which you’re publishing the book (which means no Frozen references moving forward). Most importantly: if you choose to use pop culture as the crux of your headline writing, don’t overdo it. You aren’t actually writing for TMZ, just channeling it. Detailed. This is the journalistic option. More New Yorker than New York Post. A detailed style involves really describing what your audience is about to read. Think back to the example above and apply it to a couple yearbook examples: “Football Team Caps Sterling Season With Run To State Semifinals” or “Gamers Group Welcomes Vets and Noobs.” Are these headlines flashy? No. Will they work? You bet. Humor. While not a style unto itself, humor can be both exciting and challenging to try and weave into any of the above styles. It’s great to get a laugh, but not everyone’s sense of humor is the same. “School Paper Gives Students Voice, Ink Stains” or “‘Give Me a C! Give Me a Heerleader! What’s That Spell?’” are examples of how you might do this without being off-puttingly clever. After you’ve settled on a style, it’s time to actually write your yearbook headlines. Scratch that. It’s time to start planning to write headlines. Some will come naturally, but it is easy to get stuck. Here are some tips to help with the process. The first step in a great yearbook headline is really—and we mean really—reading the piece that’s being worked on. It’d be easy to be say, “I’m working on the hockey team’s page. I know: The Puck Stops Here.’” Something quick. Something punchy. Something… generic. Too often, yearbook headlines fall victim to cliches. Students find themselves grasping for ideas, turn to Google for a list of headline ideas, and use it as-is or modify it slightly. And while that’s understandable (hey, this stuff is hard), that’s not a process for writing a great yearbook headline. For one, “The Puck Stops Here” doesn’t resonate with the students at your school who play on the team or those who bring signs to hockey games and scream themselves hoarse. Sum up the coverage in a single sentence. List five “key” words from the coverage. These should be nouns and verbs. Rewrite your sentence incorporating those keywords. Start whittling the length of that sentence to capture those key ideas. Determine which of the approaches above works best for your coverage. Apply that approach to your headline-in-progress. Ask yourself whether what you’ve written achieves the goal of accuracy, clarity and interest. Revise and rewrite until the answer is “yes” for all three. Share with others for feedback. Is your joke funny? Is your pun too clever? Did your synonym fail to hit the mark? If one person on your staff doesn’t get it, chances are high that many of your readers won’t, either. Along the way, you’ll want to do a few other things, as well. For one, consult a thesaurus. They’re tremendously handy for breaking through creative blocks. A thesaurus isn’t just a “find and replace” exercise; no two words mean the exact same thing, and you need to be aware of nuance. But finding variations on those five keywords can help you see the piece in a new light, and spark your imagination. Similarly, list out your ideas. It’s easy to come up with a quick headline and then move on, thinking you’ve already got the best one. But coming up with a list of at least five forces your brain to keep thinking about it, and maybe uncover a different angle. The first idea might still be the best, but you’ll never know until you push yourself. Finally, a great way improve your yearbook headlines is to consider the imagery present in the story. What’s the most vivid description in the article? What is something that happened that, with the right words, people can almost see? When all else fails, use pictures—literal images—as inspiration for the next great headline. Writing something so unique as a headline requires a bit of talent, a good process, and a lot of practice. If you’re lucky, the next Vincent Musetto (the guy who wrote the famous “Headless…” headline referenced above) is sitting in your class, finding ways to make even just a few words say a whole lot more. For the rest of you, share this with your students.